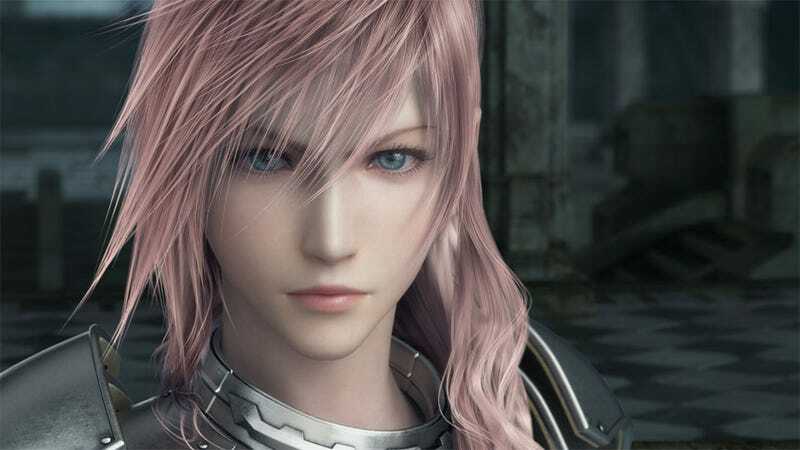 Square Enix will start off the new year with the release of Final Fantasy XIII-2 in North America. The publisher of all things Final Fantasy has nailed down January 2012—2011-2, if they could get away with it—for the continuing adventures of the lady Lighting and her party. Final Fantasy XIII-2 for the PlayStation 3 and Xbox 360 is just one of the many title's Square Enix will bring with it to this week's Comic-Con, where the geeks descending upon San Diego will get an early crack at unreleased video games. Joining FFXII-2 at Square Enix's booth will be Techland's Deep Silver, the online strategy RPG Wakfu and Eidos Montreal's Deus Ex: Human Revolution. The last game on the list, Deus Ex, might be worth a look alone for the "augmented arm sleeve" that Square Enix will be giving away to Comic-Con attendees.